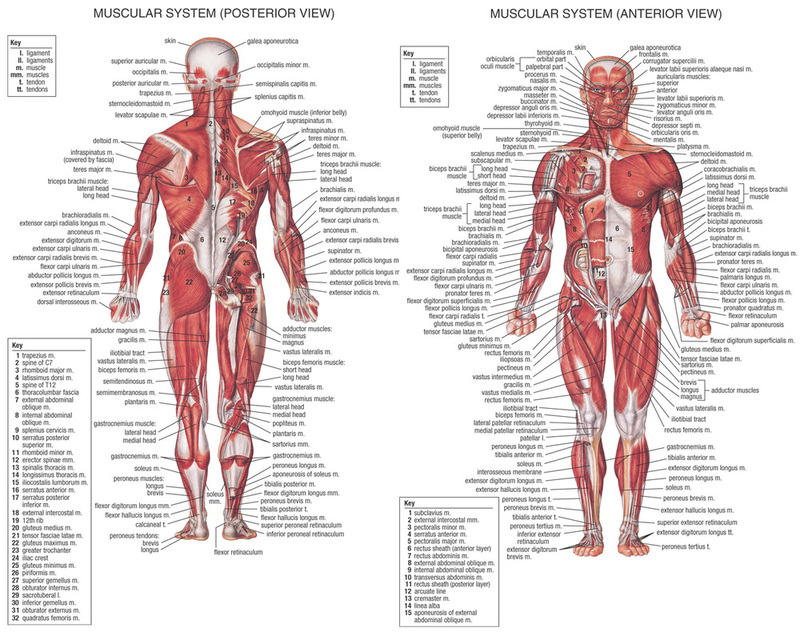 This is where you learn about musc﻿le str﻿ucture and how to encapsulate it using geometry. You need to have looked at the .vtms on starting and stopping geometry using kites. If you haven't, check them out HERE & HERE. You also need to have looked at some muscle definition work such as http://www.posemaniacs.com in order that you build the correct muscles. I have also included an image courtesy of Google for your use. So, I have taken our classroom exercise character called 'Grunt' (new for 2013/14) and developed the definitive basic muscle structures. 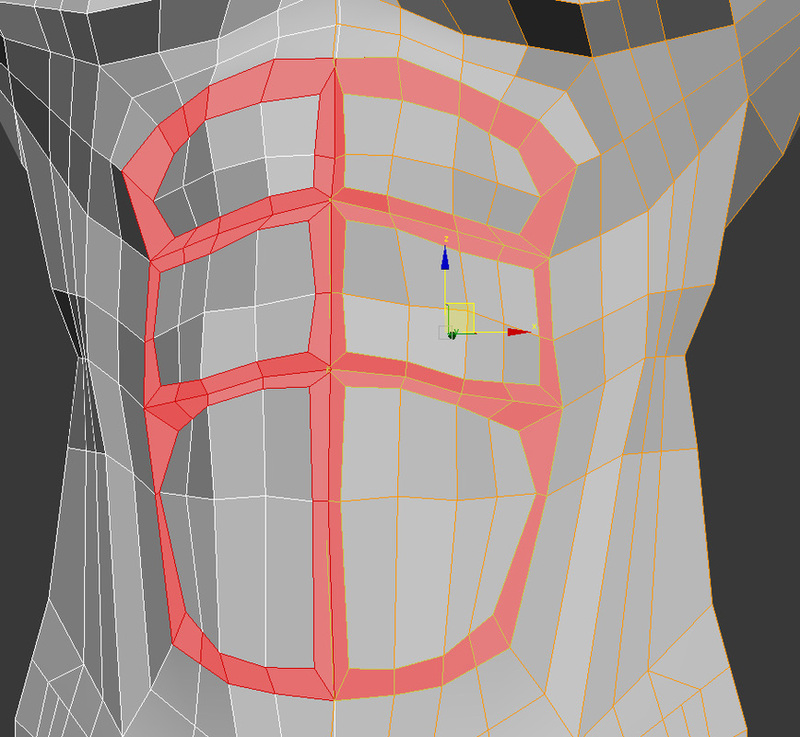 I say basic because the smaller muscles are often easier to apply using normal maps and textures. The elbow. 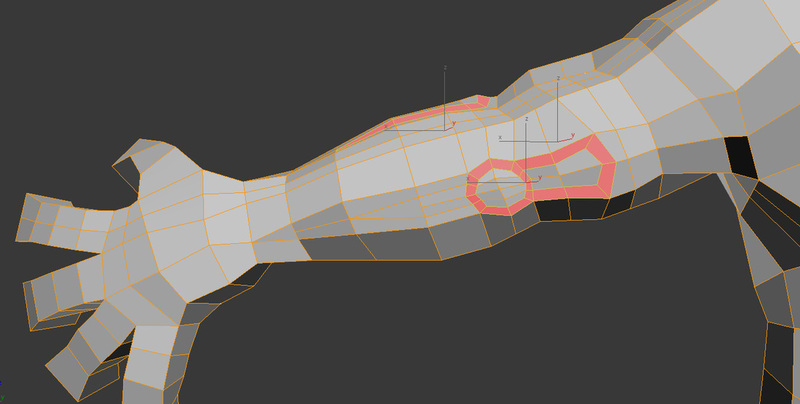 This is simply insetting four polygons and moving the verts to make it more round. Note to the right, that there is geometry to help define the Triceps if needed. Also notice the series of kites to the left, reducing the geometry before the hand. The Chest. This is something that is discussed in class but here you can see how the simplicity of the geometry defines the 'six pack'. 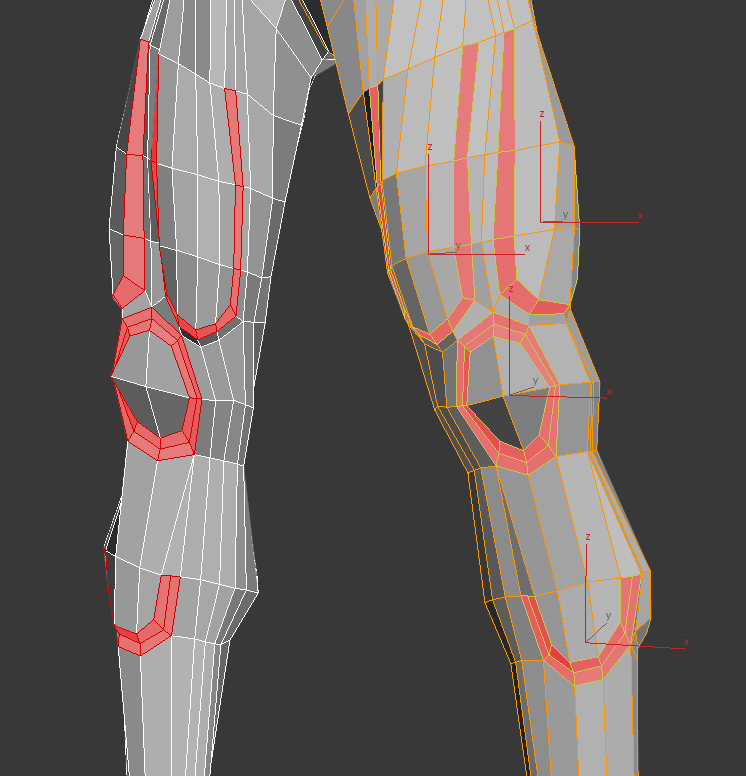 The front of the legs. 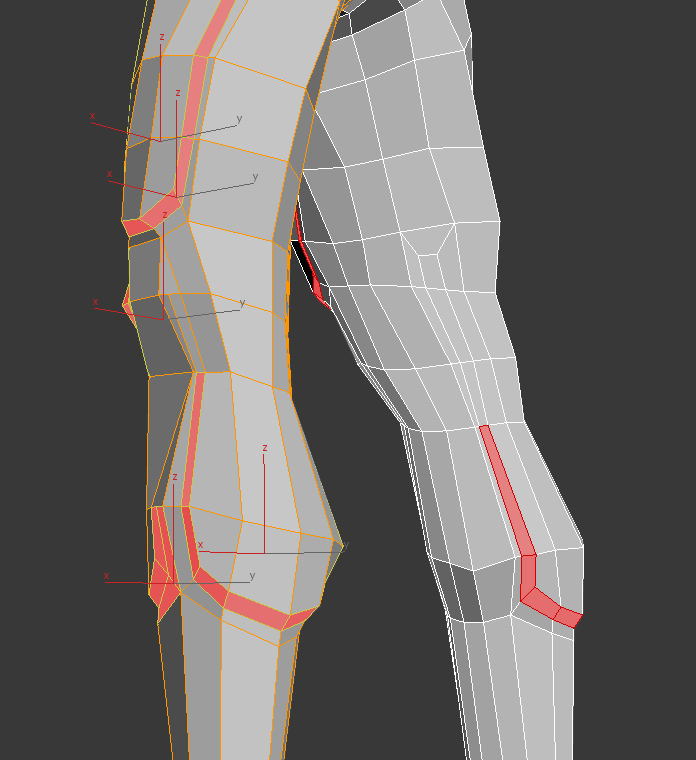 The upper leg shows the Vastus Medialis (left) and the Vastus Radialis (right). Below these is the knee. Below that is the Tibialis Anterior. Finally, the Calf muscle. (technically there are two - one each side, but often the divide can be put in using a texture or normal map). Simple clay render showing the definition. 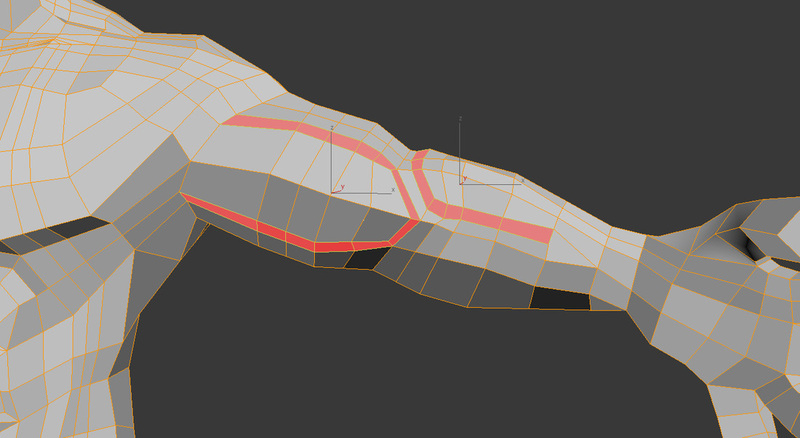 This character has only 3700 polygons with the smooth off.